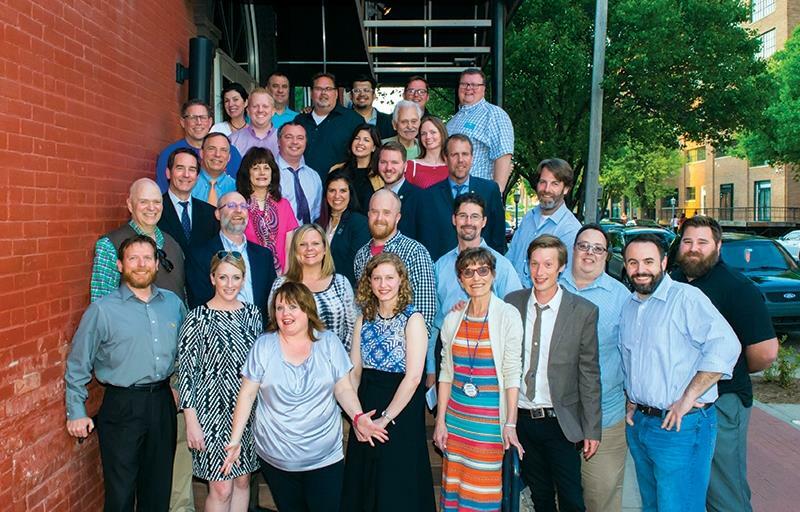 The Bricktown Rotary Club membership is comprised of younger professionals who are committed to our community, to the ideals of Rotary and to one another. As one of the original "happy hour" clubs, we're trendsetters as well. And we're always looking for new ideas and new members. Improving the Community - Building Relationships - Changing Lives Come help us leave our corner of the world better than we found it. -Building a tree house for the Boys and Girls Club. -Entertaining the children with Prader Willi Syndrome at their annual conference. -Sponsoring books for children as part of Pambe Ghana. -Sponsoring the NewView Oklahoma dragon boat team of adults who are visually impaired. -Raising money after the Japanese Tsunami. -Serving cold beverages at the Festival of the Arts MegaDrinks tent. -Providing gifts for SKIL students. -Collecting box fans for the elderly in conjunction with the Salvation Army. -Purchasing Christmas gifts & hosting a Christmas party for residents of Northwinds, a nursing home for AIDS and HIV patients (the last video).